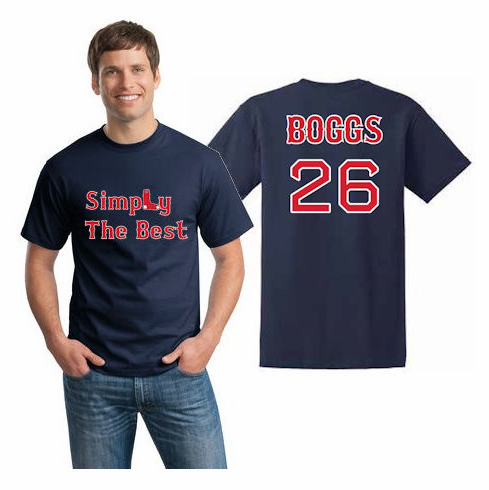 This limited t-shirt commemorates Wade Boggs and his #26 being retired by the Sox this season! Simply the Best graphics screened on the front. BOGGS 26 screened on the back.